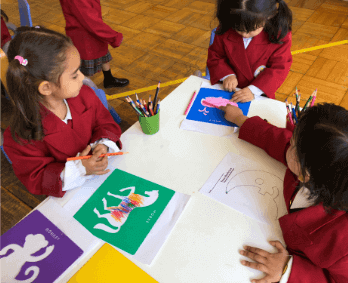 IISJ utilizes the Montessori Method in its kindergarten classes. Developed by Dr. Maria Montessori, the Method is based on self-directed activity, hands-on learning, and collaborative play. Children are tasked with making their own creative choices, while teachers are there to simply guide them. Any and all activities are self-correcting, so that students know instinctively if they are right or wrong. The IISJ Kindergarten program is a three-year program and is divided into Lower Kindergarten and Upper Kindergarten.